All the hype about Indian IT sector makes it hard to believe that it is Pakistan, not India, which has widely deployed biometric identification technology to issue multi-purpose national ID cards and e-passports to its citizens. Is this just another case of the proverbial shoemaker's children going barefoot? In fact, Pakistan is among the first few countries of the world to issue biometric national ID cards to 83 million citizens. Pakistan has also issued over 7 million e-passports to its citizens since October, 2004. These Multi-Biometric Electronic Passports, containing an RFID chip, facial and fingerprint images of the passport holder, PKI and other security features are compliant with ICAO standards. Established in the year 2000, NADRA, the National Database and Registration Authority, is Pakistan's state-owned IT services company that specializes in implementing multi-biometric national identity cards and e-passports, as well as secure access verification and control systems in both public and private sectors. It is recognized among the top 50 IT firms in the world by the ID World Congress. Beyond the national ID cards and passports, other current NADRA projects are motor vehicle registration (VINs or vehicle ID numbers), driver licenses, law enforcement, gun licensing, credit reporting, authentication of various transactions, statistical data, birth/ marriage/ death registration, GIS, e-Governance, disbursement of grants and planning at federal, provincial, district and local government levels using the national database. NADRA's domestic public sector clients include the Ministry of Interior, Directorate of Immigration and Passports, National Highway Authority, Earthquake Reconstruction and Rehab Authority, UNHCR-Pakistan and Benazir Income Support Program for the poor. NADRA issued Watan cash cards as part of a recent project to hand out Rs 28.8 billion among 1.527 million flood affected families in rural Pakistan last year. It is now working with the FBR, Pakistan's tax collectors, to catch millions of income tax evaders. NADRA's corporate clients are Mobilink, Ufone, Telenor, Barclays Bank, Royal Bank of Scotland, Standard Charter Bank, PTCL, IESCO, SNGPL and SSGPL. International clients of NADRA include governments of Bangladesh, Kenya, Nigeria and Sudan. NADRA Technologies has recently entered into a agreement with Global Defense, a Turkish company, to pursue biometric IT services opportunities in Turkey and other European and Middle Eastern nations. PTCL, another state-owned company, is rolling out fast broadband access at low cost, and building data centers in Pakistan to enable cloud computing on a large scale. PTCL has recently started rolling out 50 Mbits/sec broadband service in several cities and towns, and built large data centers in Karachi and Lahore. IT sector is alive, and it is focusing on solving real problems in Pakistan. And the state-owned enterprises like PTCL and NADRA are building IT infrastructure and developing and deploying information and communication technology to lead the way for both public and private sector companies in the country. There was no need to compare with India. Is the government of India’s ambitious Unique Identification (UID) Card project as robust as it pledges to be? Can it ride over the omnipresent hurdles posed by the country’s massive population and technological shortfalls? Some of these questions have been put forth in a working paper of by Prof Rajnish Dass of the Indian Institute of Management, Ahmedabad (IIMA). The project aims to provide a unique 12-digit number to 1.2 billion residents of India. The paper titled ‘Unique Identity Card Project in India: A Divine Dream or a Miscalculated Heroism’ brings out the crucial point of need to consult stakeholder groups, to understand IT readiness and expectation gap for a project like this, and hold public debates since huge cost and effort are being put into the largest project in the world. “A concrete execution plan of the project can be designed by clearly mapping the efforts and resources of the project with the intended benefits and presented to the people of the nation. In light of the perceived cost, feasible benefits and perceived risks, this should further be publicly debated in order to understand the readiness of the nation in taking such an initiative,” states the paper. The paper suggests that in view of the huge implications in terms of cost and effort, it becomes mandatory to put forward a detailed cost-benefit report before the people. It is because the nation has to look into other priority areas prior to initiating and executing such a task. The paper points out four challenges before the project. The UID project has gathered criticism which is stated in the paper under four heads. First, the project would necessarily entail violation of privacy and civil liberties of the people. Second, it remains unclear whether biometric technology- the cornerstone of the project-is capable of the gigantic task of de-duplication. The Unique Identification Authority of India's (UIDAI) "Biometrics Standards Committee" has noted that retaining biometric efficiency for a database of more than one billion persons "has not been adequately analysed" and the problem of fingerprint quality in India "has not been studied in depth". Third, no cost-benefit analysis or feasibility report for the project has been made till now. Finally, the purported benefits of the project in the social sector, such as in the Public Distribution System (PDS), are "largely illusive," says the paper. The paper also says that outrageous costs, technology gaps, privacy issues, political challenges, and lack of clear vision and mapping of the perceived benefits that can be accrued out of such an exercise are some factors that hinder viable and sustainable implementation of a national identity programme. Talking about the limitations and risks involved in the massive scale programme, the paper says that the complexities of a unique identity scheme become multifold for a nation like India, with over 1.2 billion population spread across 32,87,263 sq km, more than 35.16 per cent being illiterate (2001 census) and speaking 22 different languages, and following various religions. Khalid: "It is a minor detail that NADRA gave the database to the viceroy and his men." If NADRA did it, it must have been a political decision, and it doesn't take away from the technical capabilities and accomplishments of Pakistani IT engineers who built the system. ISLAMABAD: National Database and Registration Authority (Nadra) Chairman Brig (retd) Saleem Moin on Tuesday said that Nadra never transferred its data to any country, including the United States. “Nadra has no link with any department or organisation of the United States,” he said in response to a question at a news briefing here. “Neither Nadra received such a request nor did it provide anything from its data to any other country, including the United States,” he added. The Nadra chairman said that in the normal circumstances the authority did not provide its data to the National Accountability Bureau (NAB) but it had to share the data with the bureau when a court orders. “As per the Privacy Act, we cannot provide any data to any organisation,” he added. Regarding the Nadra projects, he said that the authority would start working on a project assigned by the United Nations High Commission for Refugees (UNHCR) in July for registration of Afghan refugees after getting compensation amount. “The $5.2 million project will also include issuance of computerised registration cards to Afghan refugees,” he said. He informed that the Punjab government had also assigned a project to Nadra for computerised census of provincial government’s employees. In this connection, the pilot project would be launched in Faisalabad district. The official said that Nadra had already started working on two projects of World Bank for creating Management Information System (MIS) for distribution of cash to October 8 earthquake-affected people. In this connection, Nadra has so far enlisted 120,000 victims in two separate lists, who have received compensation in cash. “We will have complete record of earthquake affected people including their addresses and accounts who have received compensation,” he said. He said that Automated Border Control (ABC) system is also ready for installation at all exit and arrival points at airport, railway station and other routes. According to this system, every Machine Readable Passport (MRP) would have an electronic chip having complete record of travellers. NEW DELHI — When Bob Haygooni paid a midflight visit to a cockpit at his new employer, Air India, he was shocked. The pilots, he said, had completely covered the windows with newspaper to keep out the sun. “All you had in the cockpit was this yellowish glow, as the light permeated the newspaper,” Mr. Haygooni recalled, saying it was a visibility hazard he had never seen before in 30 years of flying. And the nation’s new civil aviation minister, Vayalar Ravi, vowed in an interview Wednesday not to close or sell the airline. “There is no question of Air India being shut or privatized,” he said. He said vested interests who “want to exploit the people for their own profit” were behind suggestions that India’s government give the airline up. Still, Mr. Ravi said the airline had been mismanaged in the past — including the merging in 2007 of India’s domestic and international state-run airlines. “Nothing positive came out of the merger,” he said, and Air India has bought too many planes. But the airline does “not make any compromises with maintenance and security,” Mr. Ravi said. Even some once-loyal customers are giving up on Air India. “I think all Indians should just boycott the airline,” said Harjiv Singh, co-founder of Gutenberg Communications, a public relations company with offices in New York and Delhi. Mr. Singh said he used to fly Air India’s business class regularly. But now he flies Continental’s direct flight to Newark, or one of a host of European carriers that stop in Europe before going on to New York. Even inside the company, some executives are quietly calling for the end of government control. But Air India is popular with India’s central government because ministers and politicians can demand routes to connect their home states with the capital, New Delhi, even if they lose money. “I feel like a woman with 1,000 husbands,” one male Air India executive complained, referring to the constant demands from government officials. As in many other emerging-market countries, India had a severe pilot shortage about five years ago, as the number of passengers and airlines grew faster than the country could churn out new pilots. Airlines here responded to the pilot shortage by hiring expatriates, including hundreds from the United States, where — until the rules changed in 2007 — commercial pilots were forced to retire at age 60. In India, as most everywhere else, the retirement age has long been 65. For many of those who joined Air India, the culture clash has been severe. Dozens left before their three-year contracts expired. Of the 186 foreign pilots hired since April 2007, Air India has just 36 left, the company said. Pilots interviewed for this article expressed safety concerns about basic operations at Air India — particularly its training procedures, which many said were not adequate for teaching the hundreds of new pilots the airline needs for its expansion. Some, like Mr. Haygooni, spoke freely. Others insisted that their identities not be revealed because they said the industry did not reward whistle-blowers. Air India is “just so far behind the ball I don’t know how they will ever catch up,” said Alexander Garmendia, 64, who joined Air India in 2009 after retiring from American Airlines. He trained at Air India’s headquarters in Mumbai for six weeks, but said he left in part because he was worried about safety. Air India deserves to die. Our private carriers are far better. Let its death send a signal to all that India's growth in the last two decades has been due to its enterprising spirit of private enterprise and not useless govt enterprise. It is reputed that the Chinese overwhelm by sheer numbers. In their confrontations, there would be 300,000 men - only 3,000 were equipped - the rest were the obfuscation factor. So now there are 160 mill new identities in the data base - good!!! I am sure there will be many duplications and phantoms in there. Let Silicon Valley create algorithms to discern the good Mohammeds, Muhammads, Mohammads.......... from the bad. So what - if the viceroy has the yellow pages and white pages combined in a 60 terrabyte searchable database with data of birth and family details thrown-in? Attitudes of the 160 million become apparent even without analyzing raw data of their names, addresses etc. Identity concealment is an obsession with conservative "rednecks" here. I have never been convinced that there is any benefit to such concealment of identities. In fact, as the science of genetics progresses, there should be benefits in the ability to identify and research blood-lines etc. This is in addition to the current benefits listed in Riaz's article. All of this would be impossible without the existence of centralized data bases. And if NADRA is at the leading edge - more power to them. NADRA is an arm of the Military to keep track of the civilian population. Financing and know-how is directly from the Military which eats up 16% of every Rupee in our country's budget! ISLAMABAD: Pakistani information technology (IT) companies won seven awards at the 10th International Asia Pacific ICT Awards (APICTA) held in Kuala Lumpur, Malaysia. The Pakistani companies secured the highest number of total awards. The Silver Awards were secured in the Security Applications, E-Inclusion and E-Community, Financial Applications, Communications, E-Government and E-Health categories. Pakistani companies won in the face of stiff competition from companies from 16 countries including Malaysia, China, Hong Kong, Singapore and Australia. The Center for Advanced Research in Engineering (CARE) won the Silver Award in E-Government, Security and Communications while Avanza won the Silver Award in the highly competitive Financial Category and Cure MD won the Silver Award in the E-Health category. Aerocar and Solotech showed won the Silver Award in the E-nclusion & E-Community category. Secretary Information Technology Nagib Ullah Malik invited the winners to discuss ways and means to bolster the IT industry in Pakistan and increase the adoption of locally developed IT products. He also praised the winning companies for earning a good name for the country while acknowledging the depth and creativity of the companies. The chairman of Pakistan Association of Software Houses (PASHA) Ashraf Kapadia, Member IT Tariq Badshah and Managing Director Pakistan Software Export Board (PSEB) Zia Imran were also present at the occasion. Malik also said that the wins at APICTA are a solid evidence of the support that the Ministry of Information Technology (MoIT) has provided to spur innovation in Pakistan. He recommended the PSEB to look into additional IT industry support programs including greater adoption of locally developed products in government and private sectors. Malik added that minimal regulation and maximum incentives are needed to compete with countries such as Vietnam and Brazil. The article by DNA just criticises the policy, not the technology. I have read similiar criticisms in many magazines. These are activists who are only concerned about privacy laws, not the benefits. The UID is the most advanced system and for your information it is possible. Nobody said it would be done in a day. It would take atleast 5 years. Do you know how fingerprints are being taken now. Today in any government office whether license, registry, it is mandatory to collect fingerprints. Also when you open an account in banks. The data garnered from all these sources will be fed in the system along with photographs to. The same way India is going to develop NATGRID. Indian IT companies are totally world class and are quite capable of implementing it. Come and visit India some time, don't go on info given by others all the time. Totally off topic, but since you have blogged about this often, institute of chemical technology in mumbai has been ranked 4th as per research standards in the world..here is a link..
Yup and IISc has been ranked #93 in the world for Science R&D.Overall it has a rank of 400+ because it has zero output in economics,social sciences etc etc which is what u would expect in a dedicated science post graduate institute. This was the third BlackBerry app developed by the local company to make it to number one on BlackBerry AppWorld. Their other apps to reach number one include Photo Editor, an app that allows users to edit photographs from their hand-held devices, and LED Notifier, an app that blinks different colored LED for different contacts. Ninja Fruit Bash follows the quest of a Ninja as he travels across China slicing tainted and poisoned fruit in order to save humanity. The fruit is poisoned by the evil spirit of Orochi and is fatal if eaten. Orochi has turned fertile fruit gardens all over China into poisonous wasteland and our Ninja is on a mission – to return all the fruit gardens to their former glory. There’s a growing trend of taking iOS successes and porting them over to BlackBerry. We believe the trend was started by Smarter-Apps and from a strictly business perspective it makes a lot of sense. Sure, you could spend a long time working on a risky app that may or may not be a success, or you could take something that obviously makes money on another platform and bring it to the 40 million or so BlackBerry users. Considering the huge success of this strategy, as proved by Angry Farm, it makes you realize that a lot of these iOS developers are listening to the analysts more than the users. Ninja Fruit Bash is the latest in this strategy and they’ve taken the success of Fruit Ninja to BlackBerry users. The app isn’t 100% of the fun you get on the iOS version and there are some limitations on the BlackBerry side such as the fact that not all devices have OpenGL support for 3D graphics. Ninja Fruit Bash on the Torch was a pretty smooth experience and it’s definitely a good start. The company will have to work a little harder to bring more of the user experience and graphics to the game but as a start it’s awesome. were unable to get themselves registered for the Pakistan Card. Nadra Deputy Chairman Tariq Malik pointed out on Friday that Nadra’s centres were working in Badin, Tando Mohammad Khan, Shaheed Benazirabad Mirpurkhas, Tando Allahyar and Sanghar, while 15 other centres were addressing complaints from those people who did not get themselves registered for Pakistan Cards. He stated that throughout the process, Nadra ensured strong checks so that only deserving families belonging to the provincially notified calamity-hit areas could obtain the Pakistan Card. Malik informed that Nadra had so far issued 592,651 Pakistan Cards to heads of rain-affected families in Sindh, 105,455 in Mirpurkhas, 240,227 in Badin, 79,946 in Tando Mohammad Khan and 156,324 in Shaheed Benazirabad (Nawabshah), 8,011 in Tando Allahyar and 2,684 in Sanghar. He said that Nadra had launched a mobile SMS service in collaboration with the Pakistan Telecommunications Authority (PTA) and all operating telecom companies to determine a person’s existence in the beneficiary list for the Pakistan Card project to facilitate the rain-affected people in checking the status of their requests. The eligibility of the applicant for the Pakistan Card can be checked by simply sending his/her CNIC number to the designated short code (i.e. 9777). In response, a text message will be sent from Nadra’s central server confirming CNIC existence in the beneficiary list. The intent to use this service is to assist the provincial and local governments in curtailing the rush at the centres and helping the flood victims by using the technology while this service was for free, he added. Nadra, in addition to setting up centres, has also mobilised its mobile resources MRVs (Mobile Registration Vans) to process the CNIC for free in all the affected areas in coordination with the public representatives and district administrators, he added. He said that Nadra had also issued 77,833 CNICs for free to flood/rain-hit victims so far. Islamabad—National Database and Registration Authority (NADRA) has initiated a mobile SMS service determine and check existence of flood-affected persons in the beneficiary list for Pakistan Card. This service has been launched in collaboration with Pakistan Telecommunication Authority (PTA) and all mobile phone operators with the objective to assist provincial and local governments to curtail down rush at the centers and help the flood victims by using technology. A senior official at NADRA on Monday told APP that the eligibility of the applicant for Pakistan Card can be checked by simply sending his/her Computerized National Identity Card (CNIC) number to the designated short code i.e. 9777. In response, a text message will be sent from NADRA central server confirming CNIC existence in the beneficiary list, the official said and added the Authority ensures strong checks in the software so that only deserving families belonging to provincially notified calamity hit areas could obtain Pakistan Cards. He said the process of issuing Pakistan Cards is in progress as around 598,600 such Cards have been issued to flood affected families in Sindh. Giving further details, he said around 105,455 Pakistan Cards in Mirpurkhas, 240,227 in Badin, 79,946 in Tando Muhammad Khan and 156,324 in Shaheed Benazirabad (Nawabshah), 8011 in Tando Allahyar and 2684 in Sanghar have been issued. ...two years after it launched, a parliamentary committee has given a thumbs-down to the setting up of a statutory National Identification Authority to bolster the scheme. A bill had been introduced in parliament last December to set up the authority. The committee, in a recent report, raised concerns about access and misuse of personal information, surveillance, profiling and securing confidential information by the government. UID authorities say that appropriate steps have been taken to ensure security and protection of data. The parliamentary committee fears that "at a time when the country is facing a serious problem of illegal immigrants and infiltration from across the border", the number was being given out to every resident. "The committee is unable to understand the rationale for expanding the scheme to persons who are not citizens," the report said. The committee has even questioned the implementation of the scheme, which has been held up as a success story by the authorities. It says it was originally meant for the poorest of the poor and then extended to all residents. But the committee says better-off Indians already possess many other forms of identity, and so asks how the number helps them. Authorities say the number will be a general proof of identity. Also, the report wonders, how will the poorest of the poor be given numbers? For one, the authorities don't have proper data on the very poor - officially, 37% of India's 1.2 billion people live below the poverty line. But there are various estimates of the exact number of poor in India and one suggests that the true figure could be as high as 77%. So how does the number help in identifying the genuine beneficiaries? Interestingly, the report points to the shelving of a similar identity project in the UK because of the huge costs, unreliable and untested technology and the risks to the safety and security of citizens. A London School of Economics report says that the UK project could turn out to be a "potential danger to the public interest and to the legal rights of the individuals". Nandan Nilekani, head of the Unique Identification Authority of India, believes that the number can transform Indian politics by curbing theft and leakage of public funds. "It would make porous distribution mechanisms and our dependence on the moral scruples of the bureaucrats redundant," he says. But, clearly, a number of crucial questions need to be clarified before India can continue to crunch out the identity numbers. The Payment Systems Half Yearly Review released by the State Bank here noted speedy rise in e-banking transactions in the country. The volume of such transactions during the period under review reached 125.9 million depicting an increase of 15.5 per cent as compared to the first half of FY11, the review said, adding that the payment system infrastructure has maintained an overall growth trend for the second half of FY11. However, the review also said that the volume and value of paper-based retail payments during the second half of FY11 were recorded as 177.3 million and Rs84.6 trillion respectively, indicating an increase of 3.5 per cent in the volume of transactions. “The value of transactions has increased by 13.3 per cent as compared to the first half of FY11. The contribution of paper-based payments in total retail payment transactions was 58.5 per cent in terms of volume and 87.5 per cent in terms of value,” it added. The review said the Automated Teller Machines (ATMs), which are the largest channel of e-banking transactions, showed 16.5 per cent increase in number of transactions and 19 per cent increase in value raising the share of ATM transactions in total e-banking transactions to 58.8 per cent and 5.4 per cent respectively, the review said. It said the number of Real-Time Online Branches (RTOB) transactions grew by 14.7 per cent and the value of transactions increased by 18.8 per cent as compared to first half of FY11. “These transactions contributed 31.6 per cent in total volume of e-banking and 93.2 per cent in the value of such transactions respectively,” the review observed. According to the review, as many as 466 more Automated Teller Machines were added bringing the total number of ATMs to 5,200 while 380 more bank branches were converted into Real Time Online Branches (RTOBs). “A total of 7,416 bank branches (78 per cent) are now offering real time online banking out of a total of 9,541 branches in the country. The number of plastic cards at 14 million also registered an increase of 6.2 per cent during the period under review as compared to the numbers during the preceding half year,” the Review added. The overall increasing trend in payment system infrastructure was also witnessed in the large value payments settled through Pakistan Real-time Inter-bank Settlement Mechanism (PRISM), which increased by 14.8 per cent in volume and 21.9 per cent in terms of value as compared to the first half of FY11. Tens of thousands of people flock to Nadra centres across Pakistan each day to apply for fresh cards, renew the old ones or get their personal information corrected. They need these cards as the basic document for a wide range of activities: opening a bank account, finding a job, getting admission in a college or a university, registering as a voter, getting a passport, buying or selling property, setting up a business. Pakistan's experience with identity management dates back to 1973, when the eastern part of the country had just seceded and questions were being raised over who was a Pakistani and who was not. So a registration act was introduced in the parliament to create an authority that would register Pakistani citizens and issue them with a photo ID. In 2001, this authority was merged with a national database organisation to create Nadra, with the task of computerising all citizen data. In 2007, Nadra introduced what is known as the multi-biometric system, consisting of finger identification and facial identification data that was to be included in the citizen's computer profile. "By now, Nadra has issued 91 million computer generated cards, which is 96% of the entire adult population," says Nadra deputy chairman Tariq Malik. "This is one of the world's largest national databases." "During the last 40 years, we have graduated from identity management to database management, and we have now entered an era in which we can make intelligent use of this database to make our economic and political processes transparent and also to roll out services to the citizens," he says. For example, Nadra has been using this database to identify mutilated bodies of the victims of a suicide bombing or an air crash. It also uses it to identify people affected by natural disasters or groups below poverty line who need to be listed for the government's financial inclusion programmes. Following the 2010 floods, the government used this information to disburse nearly 55 billion rupees ($586m; £381m) of donor funds to more than 2.4 million affected families. "They were issued automated teller machine (ATM) cards with pin codes to draw cash from "virtual" accounts even though most of them had never opened a bank account in their lives," says Mr Malik. More recently, Nadra cleaned up Pakistan's voters' list, expunging some 37 million "fake" voters from it and adding more than 36 million new adults who had not been registered. It now plans to set up a short message service (SMS) to tell voters exactly which polling station they are registered at. "This will disenfranchise the 'powers' that used fake votes and ghost polling stations to engineer elections throughout Pakistan's chequered electoral history," Mr Malik says. KARACHI, Pakistan, Nov. 1, 2012 /PRNewswire/ -- IBM (NYSE: IBM) today announced that Monet, one of Pakistan's leading mobile-commerce providers, has selected a customized IBM cloud-based solution that will enable the company to enhance service efficiency and expand its presence across the country. Launched in 2012, Monet provides banks, mobile network operators and branchless banking agents in Pakistan with a technology platform that offers end-users a simple interface through which they can access a wide range of financial services on their mobile phones. Mobile banking and financial services are expected to grow significantly in Pakistan in the coming years. Increased demand for affordable banking, a lack of traditional banking infrastructure and an aggressive branchless banking mandate from the State Bank of Pakistan (SBP) has driven quick uptake of mobile banking in the country. To capture this opportunity, Monet chose IBM to develop a unique IT environment allowing the company to offer reliable and efficient services to a growing customer base throughout the country. "Mobile financial services have reached an inflection point where they have moved from niche to mainstream," said Ali Abbas Sikander, CEO, Monet. "We believe mobile can potentially become the strongest channel for the delivery of financial services. IBM's cloud solution will allow us to reach our clients easily, giving us access to a wider base of customers and ultimately extending the reach of financial services in the country." IBM will develop a specialized solution based on IBM SmartCloud technology, to deploy Monet's mobile banking applications from Fundamo, a leading mobile financial services platform provider and an IBM partner. The private cloud will allow Monet to save on initial investments in IT and help the company offer more efficient services at a reduced cost. IBM SmartCloud infrastructure is based on IBM servers, storage and software optimized to meet growing mobile demand. In addition, Monet has outsourced the entire networking, security, cryptographic solutions, and disaster recovery to IBM, in order to focus on its core business. "Mobile and Cloud are a powerful combination to provide sustainable and affordable banking services to millions of people in Pakistan," said Adnan Siddiqui, CGM, IBM Pakistan and Afghanistan. "IBM has global experience in the financial services sector and a thorough understanding of the local market, and our engagement with Monet is expected to benefit banking customers across the country.".. Application and deployment of information technology is now happening in many areas well beyond offices and banks. Recent examples include growing online education, automated meter reading and IT infrastructure in the power distribution industry, growing use of IT in mobile banking and Benazir Income Support Program (BISP), and a Shehzad Roy sponsored program for teachers to check in and out using a Limton finger identification machine to reduce teacher absenteeism at schools. A shared mobile money network, built on Visa's Fundamo technology, that can be tapped by banks and telcos is preparing to launch in Pakistan. Monet - which was set up by the massive Abu Dhabi Group last year - has now secured approval from the State Bank of Pakistan to build its network, which is being offered to local firms planning to launch mobile money services. Built on Fundamo technology, Monet says its offering will provide a managed service platform, agent management services and bill aggregation services to new financial institutions and network operators interested in entering branchless banking services. The first clients are Pakistan's sixth largest financial institution, Bank Alfalah, and Warid Telecom, who have teamed up to launch a new brand on the platform. Monet says that its network will make it cheaper, easier and quicker for firms to tap into Pakistan's huge unbanked market. According to the Pakistan Access to Finance Survey, only 12% of the population has access to formal financial services, yet mobile penetration stands at nearly 70%, says the Pakistan Telecommunications Authority. A recent study by the Boston Consulting Group estimates that 35% of the country's adult population will be using mobile financial services by 2020. Ali Abbas Sikander, CEO, Monet, says: "We are building an open and collaborative eco-system which benefits all the stakeholders of the financial services ecosystem in Pakistan. Collaborative mobile financial services, as opposed to bank-led or telco-led deployment, is the paradigm shift which will assist in creating a bigger and less costly enabling environment for the issuers, acquirers and service providers." Aletha Ling, COO, Fundamo, adds: "The platform allows service providers to think big, start small and scale fast. The result will be an ecosystem that that will support the long term and sustained growth of the Pakistani mobile financial services market." ...The central policy objectives of SBP are to ensure safety, soundness and efficiency of the banking system, and to protect the interest of consumers, he said, adding that since branchless banking is becoming a vital component of the national payment grid, it is prudent for all stakeholders to ensure that appropriate measures are in place to mitigate inherent risks associated with it like access by unauthorised persons or criminals such as hackers, money launderers, terrorist financiers etc. He said being fully cognisant of the risk factors involved in such unconventional modes of banking, SBP has been proactively monitoring developments and associated risks both at system and entity level in order to take appropriate corrective measures in a timely manner. The SBP governor said that branchless banking has also proved to be an effective instrument in channelising the government to persons (G2P) payments in trying times like serving internally displaced persons (IDPs), and devastating floods for the last two years. The Benazir Income Support Programme (BISP) beneficiaries are also being served effectively through the same mechanism, he said, adding that In the coming days, this channel is expected to continue playing an important role towards the promotion of financial inclusion and the management of G2P programmes like salaries disbursements, pensions, BISP, Watan Cards, Pakistan Cards and tax collections services, etc. The existing branchless banking deployments can cater to the needs of over 10 million potential beneficiaries of G2P payments in Pakistan, he added. Anwar said that four branchless banking models including Easy Paisa, Omni, Mobile Cash and Time Pey are fully operational while two are running live pilots. He said that the branchless banking current growth trajectory is expected to get further steeper in the years ahead. He said that the number of agent network servicing branchless banking customers has reached 42,000. Therefore, the basic financial services can now be accessed in the remotest parts of the country through any of these agents. Approximately 194 million transactions worth Rs 813 billion and more than 2.0 million m-wallets have been opened till date, he said, adding that numbers will improve significantly. The infrastructure of payment systems and branch network is also showing an increasing growth trend, he said adding that the ATMs network has increased to 6,232 whereas branch network has reached 11,600 while 94 percent of our branches are now real time on-line. Similarly, the number of plastic cards has increased to 20 million and the number of POS machines has increased to 34,000 units. This is a significant achievement, and this also demonstrates the opportunity to bring the benefits of this infrastructure to millions of the unbanked population, he added. While acknowledging that branchless banking has gained critical mass in a short period of time, the SBP governor was of the view that the market has to start shifting transactions from first generational services (person-to-person/bills payments) to second generational services (account-to-account and inter-bank transfer). The players need to expand their product portfolio by offering new products and services for their target market. In my view, this is part of an inevitable evolution which will ensure the long-term sustainable development of the sector, encourage micro savings and help in meeting the demands for inclusive financial services of the target market, he added. In compliance with an order of the Supreme Court, the National Database and Registration Authority (Nadra) has devised a software to help 4.5 million overseas Pakistanis to cast their votes in the coming general elections. The $1.5 million software will help overseas Pakistanis in 15 countries, including the US, UK, Canada, Saudi Arabia, UAE, France and Australia, to vote at 150 polling stations. However, approval of the Election Commission of Pakistan (ECP) and cooperation of the Ministry of Foreign Affairs will be required to prepare required legislation. Nadra chairman Tariq Malik said at a news conference that a detailed briefing would be given to ECP on the software on Monday and if the ECP approved it, a briefing would be arranged for the Supreme Court. The chairman said that almost 70 per cent of overseas Pakistanis were living in Saudi Arabia and Gulf countries where there was a ban on political gatherings and rallies. Therefore, the Ministry of Foreign Affairs would have to get permission for polling process in those countries, he added. “Permission from those countries and travel arrangements of Nadra officers have to be completed by April 5 because establishment of polling stations for e-voting will be a lengthy process. One computer, printer, thumb digitiser and secure internet connection will be required at every poling station,” he said. Mr Malik said overseas Pakistanis would get the facility of e-voting through embassies. Polling stations will be set up in designated missions. A biometric system will also be installed in the poling stations to avoid casting of bogus votes. On the polling day voters will have to come to the polling station. They will be required to produce machine readable passports and National Identity Cards. The process of voting will be simple and the vote will be cast in the ECP database without recording identity of the voter. On completion of polling, the ECP will have electronic results available in its database. Constituency-wise aggregated result will be printed by the ECP and faxed to returning officers for inclusion in preliminary results. “Although software appears to be safe, it has never been used in Pakistan, so Nadra will suggest that polling for overseas Pakistanis should be arranged two or three days prior to elections,” he said. We’ve got the data, thanks to the growth of smart, Internet-enabled sensors that can read and relay energy use almost in real time. A host of new big-data companies are figuring out how to crunch that information so energy users from huge factories to individual households can track and reduce waste. This combination of energy technology with the Internet–the industry calls it the Enernet–is the hottest sector in clean tech, in part because it relies on relatively cheap, easily scalable software rather than on the expensive factories needed for, say, making solar panels. “It’s much more capital-efficient,” says Roy Johnson, CEO of EcoFactor, an energy-management start-up. And efficiency is what the Enernet is all about. Take Virginia-based Opower, one of the oldest and most successful Enernet companies. Opower began by offering homeowners the chance to compare their power use with their neighbors’. Just knowing whether they were energy hogs or energy saints–along with following Opower’s energy-efficiency tips–was enough to reduce waste among homeowners. But as smarter meters taking dozens of readings per day have begun to gather more-granular data, Opower has been able to offer much more. The company sorts through the data collected by smart meters to help customers identify exactly where the waste is occurring and how it can be reduced. “These are things we could never do without big-data analytics,” says Dan Yates, CEO of Opower. For utilities, big data can be even more powerful and valuable for the bottom line. Smarter energy management can keep overloaded grids running and prevent the need for new, expensive plants. Energy use isn’t constant throughout the day or the year, but because utilities keep power running 24/7, they need to have spare capacity to accommodate spikes. Even if it isn’t needed all the time, that extra power has to be generated, usually by polluting and costly coal or gas plants. Companies like AutoGrid help utilities spread out the demand for energy, smoothing the spikes and reducing the need for unused excess power. AutoGrid’s algorithms sort through the petabytes of data from smart meters–adjusting for variables like weather–and spit out solutions that let utilities and their customers automatically shift nonessential electricity use to nonpeak times. The Enernet can also help utilities make better use of wind and solar power, compensating when the wind isn’t blowing or the sun isn’t shining. Amit Narayan, AutoGrid’s CEO, estimates that his company’s algorithms can help utilities get about 30% more power out of existing resources. If we’re ever going to truly clean up our electrical grid, we’ll need to replace coal and natural gas with zero-carbon sources like solar or nuclear while improving efficiency. It won’t be easy or cheap. But a smarter, more efficient grid–enabled by the same intelligence that brought us the Internet–can help smooth that transition. Farhan Masood, who has been recognised among the world’s brilliant minds by Massachusetts Institute of Technology Enterprise Forum earlier this year for his product – world’s fastest retina and face scanner algorithm called SmartXS. Masood’s dream – to build a Pakistani product and turn it into a global one – came true this year after he won the MITEFP Business Acceleration Plan contest, a highly competitive annual event that lasts for 4 months to handpick and select one among hundreds and there is one such brilliant mind produced every year by BAP from Pakistan. The objective of BAP is to help Pakistani IT, ITES, telecom and new media companies improve their business. Of the 165 participants that compete in this contest, some members of top teams also get a chance to attend an entrepreneurship development programme at MIT in Cambridge, USA. After a winning performance in the contest, Masood joined the list of MIT alumni. He has just returned after attending a course at MIT, one of the world’s best educational institutes. Those who attended this programme previously had benefited a great deal. According to Pakistan Software Export Board’s website, some of the companies that participated in this programme saw their revenues grow by 5 to 10 times and valuation increase by 15 times. Giving the example of Sofizar, the PSEB’s website stated that the company’s revenue increased from less than $1 million to $30 million in two and a half years. Interestingly, the man behind this technology is a college dropout who hated math for he was weak in the subject. “I have got all of this achievement because of my passion,” the 36-year-old Lahorite said. Masood is the CEO of Solo Smart that’s based in Lahore and has offices in the UK and USA, represented by its subsidiaries namely Solo Tech and Solo Metrics respectively. It also has an office in Australia. “We are trying to bring all these companies under one name – Solo Metrics. It is a high-tech company that deals in Mechatronics – a combination of software, electrical and mechanical engineering,” he said. The product was first brought to life in 2005 and its hardware was as big as a refrigerator, but now it’s smaller than a PC, Masood said. It has started to get worldwide recognition. Emerging markets such as Pakistan, Vietnam, the Philippines and Malaysia are adopting cloud-based applications at a faster rate than India, according to Doug Hughes, Vice-President, Product Management (JAPAC), Application Development, Oracle, the $35-billion US-based IT company. In the last few years, India has moved to a dominant market from an emerging market. However, countries such as Pakistan and Malaysia are challenging India by deploying cloud rapidly. Starting with a low base, cloud-based application gives them the flexibility not to invest in hardware or software but to rent them on a monthly basis, he told Business Line. However, adoption of cloud-based applications in India is faster than in China, he said without giving any data. While small- and medium-size Indian companies are embracing cloud, there is hesitancy among large companies on security concerns. Bridging the gap between conventional cloud solutions and traditional company applications is emerging as a growing trend across segments, he said. Managing consulting company Zinnov said cloud computing market in India is expected to reach $4.5 billion by 2015 with SMEs driving the growth. The bigger the company, the bigger the decision making team. New customers are willing to consider cloud, but not the old ones. “We need to address too many questions raised by big companies especially on security. We need to find within big businesses a few champions who truly believe on cloud. For small business I do not need as they are the champions,” said Hughes. Oracle offers applications in a public, private or hybrid cloud, he said. “With a large customer we start the discussion with the success in Australia. They will listen to it but say show me somebody who has done here. If it is not done here, it does not exist. I cannot say why clients here do not feel ready. The challenge is how to make them comfortable with cloud,” he said. Companies need not deploy the entire suite of cloud-based solutions but pick up a HR or supply chain management application. Oracle is not going behind customers to change the entire spectrum of customer base from the very large company to the smallest – consider cloud as a solution, he said. Zong has become the first mobile operator in Pakistan to implement Biometric Verification System (BVS) at their customer service centres. The installation of the Biometric Verification System displays the commitment of Zong towards Pakistan Telecommunication Authority’s (PTA) directives, highlighting its compliance and contributions to the national policies implementation. SIM verification mechanisms were first introduced in Pakistan in 2007-2008. Initially, all the SIMs were verified by NADRA through an offline channel. In 2009, a new method was introduced where customers had to call 789 after inserting their SIM for the first time and verify their NADRA record to activate their SIM. From 2009 to 2012, a SMS-based SIM verification process was introduced in four different phases. However, none of these measures helped PTA overcome the problem of unregistered SIMs. Hence, PTA is now encouraging telecom operators to start offering biometric system to have a foolproof system to curtail unregistered SIMs. The new verification system introduced by Zong will require each citizen to approach the retailer, franchisee or customer service centres of Zong and provide their fingerprints for authentication against CNIC data held with NADRA. Upon verification, the SIM will be activated. The entire operation will be performed online and it will take 15 seconds for the whole process to complete. PTA Chairman Syed Ismail Shah commended Zong for being the first telecom operator to introduce Biometric SIM Verification System. He said, “PTA is dedicated to curbing sale of illegal SIMs in Pakistan for which it is working with all the industry stakeholders to ensure seamless implementation of Biometric SIM Verification System. We have defined a set of SOPs for the rollout of this technology through which sale of SIMs will be done in a more secure manner.” The first SIM activated at Zong’s customer care centre through the Biometric Verification System was given to PTA DG Enforcement Abdus Samad. Since earlier this year, PTA and the government of Pakistan have emphasised the need to setup technological measures to ensure the protection of customer information and to curb the selling of illegal SIMS in the country. In the wake for boosting national security and addressing the ministries concern, Zong has become the torch-bearer in Pakistan’s telecom industry stepping up to the arduous task under the guidelines issued by PTA and with the support of NADRA. Pakistan has a growing cellular market and the adoption of fingerprint matching technology by cellular operators shall reduce the risk of SIM issuance against fake identity to almost zero and safeguard the sale of illegal SIMs in the country. Pakistan is poised to crack down on cyber crime as part of an effort to enhance digital commerce in the country, according to an article in The Nation. Senator Ishaq Dar, the country’s Finance Minister, announced yesterday that new legislation is forthcoming. The minister also highlighted a new agreement between the State Bank of Pakistan (SBP) and the National Database and Registration Authority (NADRA) as a part of this effort; the agreement is to implement biometric identification methods into banking services nationwide, an effort similar to one recently undertaken in Nigeria that will undoubtedly go a long way towards enhancing the security of digital banking. Pakistan’s efforts in these regards also echo those of its neighbor India, where the government is compiling a biometric registry of citizens to help facilitate a range of government services including provision of health care. Collecting, storing and processing structured and unstructured information is an endeavor that is both massive and meticulous. But thanks to advancing big data technology, it’s more feasible today than ever before. BIG Data can now be leveraged for a variety of public uses, and re-uses. It can strengthen the link between citizens and state to enhance state capacity, and its applications are varied—ranging from disaster management to social service delivery. Consider Pakistan’s National Database & Registration Authority (NADRA) that houses one of the world’s largest multi-biometric citizens database, consisting of ten fingerprints, digital photographs and biographic attributes of each citizen. More than 121 million identities are stored in this database. When floods suddenly hit Pakistan in 2010, over 20 million citizens were displaced. Government wanted to provide monetary subsistence and aid for the rehabilitation and reconstruction effort; however, the problem was that while traditional aid could be dropped via helicopter, cash could not. They were further challenged with verifying claimants; specifically, identifying whether or not they belonged to a calamity hit area. How could Pakistan support those affected by the disaster? The NADRA had a simple task to perform: cross verify citizen thumb prints with information stored in its database, then check their permanent address. The result was nothing short of miraculous. Essentially, big data allowed policymakers to know who the victims were and where they lived at the time of the crisis. Smart cards were quickly loaded with cash to help victims with rehabilitation efforts. More than $1 billion U.S. was disbursed without a single misappropriated penny. The process was swift and transparent, and international auditors were taken aback. All of this made international aid donors happy, since it cut down their cost of administration, eliminated doubts of corruption and narrowed the trust deficit. But more importantly, the state enforced its writ and citizens realized for the first time that the state is there for them in times of need. At last count, just 800,000 of Pakistan’s 180 million people paid direct taxes. Integrating data across various government databases, then reconciling it with the citizen database along with NADRA big data analytics helped identify 3.5 million tax evaders. It is estimated that if a basic minimum tax rate were applied, Pakistan would have $3.5 billion right away. Although big data analytics is no substitute for radical reform, it at least generates a healthy debate for tax reform. It’s been argued that state capacity is essentially “extractive capacity”; the ability to effectively tax its citizens and plough it back for public welfare. Advanced data analytics on big data provides an important linchpin in this ongoing debate. As NADRA’s experience illustrates, many fragile states face an even more basic challenge: the ability to accurately count and register its citizens. To collect and process big data in a way that does not compromise citizen privacy can have powerful development externalities, including the ability to build state capacity through tax collection—and avoid approaching the International Monetary Fund with a begging bowl. Big data analytics for government is a rapidly evolving field, offering exciting opportunities that, when explored and applied, can help fragile states uncover powerful and effective methods for optimizing governance. Has Nilekani followed Pakistan’s NADRA in creating, enforcing Aadhaar? Is it a coincident that the task of Tariq Malik of NADRA, Pakistan and those of Nandan Nilekani, C Chandramouli and VS Sampath appear similar? Is it also a coincidence that Tariq Malik of NADRA and Nilekani were awarded in Milan, Italy based ID World Congress for their similar work? Nilekani is simply following the footprints of Malik. Isn’t there a design behind persuading and compelling developing countries to biometrically profile their citizens? Is it too early to infer that international bankers, UN agencies and western military alliances wish to create profiles in their biometric and electronic database for coercive use of social control measures? Is it not true that uninformed citizens, parliamentarians and gullible government agencies are too eager to be profiled and tracked through an online database? Would freedom fighters and framer of constitution of India have approved of mass surveillance by any national or transnational agency? In the US, the budget for intelligence gathering in 2013 was $52.6 billion. Out of which $10.8 billion went to the National Security Agency (NSA). It is about $167 per person. Do Indians know the budget allocation for their intelligence? Why have they been kept in dark about it? Aren’t allocations for UIDAI, NPR and National Intelligence Grid (NATGRID) part of it? Is it not clear that UN agencies, World Bank Group, transnational intelligence companies and military alliances are working in tandem to create the bio-electronic database of Indians as per their pre-determined design? Is this design structured to safeguard the interest of present and future generation of Indians? Mukherjee had said in his speech, 'The UIDAI will set up an online data base with identity and biometric details of Indian residents and provide enrolment and verification services across the country.' What is not disclosed is that in Draft Land Titling Bill too there is a reference to Unique Property Identification Number. Nilekani, in a ministerial status of the Indian National Congress-led United Progressive Alliance government, is promoting a 'solutions architecture' by advancing the logic of Hernando de Sotto's book The Mystery of Capital: Why Capitalism Triumphs in the West and Fails Everywhere Else through his own book Imagining India arguing that a national ID system would be a big step for land markets to facilitate the right to property to bring down poverty! Who is hiding the real motive of the UID number from the citizens of India? Does 'online database' of residents of India safeguard the sovereignty of the Republic? The UID number is linked to Islamabad-based National Database & Registration Authority (NADRA) that was established in March 2000 to provide integrated homeland security solutions in Pakistan. Earlier, it was established as a National Database Organisation (NDO), a department under the Ministry of Interior, Government of Pakistan, in 1998. 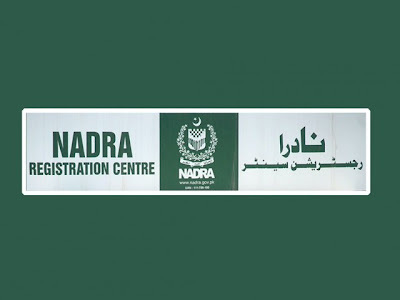 On March 10, 2000, NDO & Directorate General of Registration (DGR) merged to form NADRA, an independent corporate body with requisite autonomy to operate independently and facilitate good governance. With the mandate of developing a system for re-registering 150 million citizens, NADRA launched the Multi-Biometric National Identity Card project developed in conformance with international security documentation issuance practices in the year 2000. The programme replaced the paper-based Personal Identity System of Pakistan that had been in use since 1971.This year is also quite important. To date over 96 million citizens in Pakistan and abroad have utilised the system and its allied services to receive tamper-resistant ISO-standard identification documents. NADRA has developed solutions based on biometrics and RFID technology and has the largest IT infrastructure in Pakistan with highly qualified technical and managerial resources enabling NADRA to provide customized solutions to any country. Is there any development indicator that suggests that citizens or residents in Pakistan have benefited from the UID version (the Multi-Biometric National Identity Card project) there? Senior officials of NADRA and UIDAI like Tariq Malik and Nandan Nilekani have been awarded by ID World International Congress, the Global Summit on Automatic Identification in Milan, Italy which is sponsored by agencies like American Bank Note Company and a French biometric technology company, Morpho, which is the Safran group's security unit. The Safran group has got contracts from UIDAI too. A Washington Post report released earlier this week shed light on the Pakistani government’s incredibly ambitious plan to make it impossible to own a cellphone without providing biometric data to the government. As part of its plan, the Pakistani government will force phone service providers to terminate service for anyone who fails to provide fingerprints for use in a national database. As the report details, the government initiative is an outside-the-box attempt to make terrorism preventable and detectable in Pakistan. Pakistan suffers scores of deadly terror attacks every year at the hands of radical militant groups. Although the Pakistani military embarked on a major anti-terror offensive last year, Pakistan’s police and security apparatus remains woefully unequipped to prevent attacks. The Pakistan Telecommunications Authority estimates there are at least 136 million cellphone subscribers in Pakistan. Pakistan, like other South Asian states, has witnessed explosive growth in personal cellphone ownership; in 2003 only 5 million Pakistanis owned cellphones. While the government’s plan appears to be serious and sufficiently “21st century” with its focus on cellphone activity, it is highly unlikely that Pakistani police and security agencies will be able to usefully leverage the biometric data gained through this initiative to prevent terror attacks. What the database will do is make it easier to track terror culprits after the fact. Practicality aside, the initiative does raise some concerns about privacy. The Post article features a series of quotes by Ammar Jaffi, the former deputy director of Pakistan’s Federal Investigation Agency, that suggest the government has little interest in preserving convenience or privacy. Jaffri, for example, notes that Pakistanis should simply accept that a cellphone and SIM card are a “part of you,” adding that collecting biometric data on cellphone users is something Pakistan “shouldn’t be afraid of.” “Watching people when they move, it’s natural: Every country does it,” he adds. The Post report suggests that Pakistan’s terror-weary population is eager to try anything to prevent more attacks. After the brutality that befell Peshawar in December, the Pakistani public is desperate for a solution. Still, anything the government can do to make communication and coordination more difficult for terrorists is a good thing. The United States has long been eager to see Pakistan take up the issue of domestic terrorism and it finally seems to be doing so. U.S. intelligence agencies have the necessary competencies and experience to make effective sense of large biometric databases, particularly given the proliferation of biometric information collection following 9/11 across the country. They should share best practices with Pakistan’s Federal Investigation Agency. Even if the skeptics prove right and this initiative is nothing more than an attempt by the Sharif government to be seen as doing “something” to combat terrorism, the resulting database, with the right analytical infrastructure, could prove immensely useful for counter-terrorism. ISLAMABAD, Pakistan — Cellphones didn’t just arrive in Pakistan. But someone could be fooled into thinking otherwise, considering the tens of millions of Pakistanis pouring into mobile phone stores these days. In one of the world’s largest — and fastest — efforts to collect biometric information, Pakistan has ordered cellphone users to verify their identities through fingerprints for a national database being compiled to curb terrorism. If they don’t, their service will be shut off, an unthinkable option for many after a dozen years of explosive growth in cellphone usage here. But the effort to match one person to each cellphone number involves a jaw-dropping amount of work. At the start of this year, there were 103 million SIM cards in Pakistan — roughly the number of the adult population — that officials were not sure were valid or properly registered. And mobile companies have until April 15 to verify the owners of all of the cards, which are tiny chips in cellphones that carry a subscriber’s personal security and identity information. With 50 million more SIM cards left to be verified, phone companies are dispatching outreach teams deep into the countryside and mountains to notify customers of the policy. The Pakistan Telecommunication Authority has given the deadline of Dec 20 to all operators to introduce the biometric system in the country, except Karachi. For Karachi, the deadline is Nov 30. All the five operators have made arrangements to meet the deadline. “The operators have agreed to meet the deadline and the foolproof biometric system will be in place at their outlets by the end of next month,” a PTA spokesman told Dawn on Thursday. He said a SIM would be issued after getting a thumb impression of the applicant and subsequent verification by the National Database and Registration Authority. A Ufone spokesperson claims that it is fully equipped to launch the biometric verification system in Karachi by Nov 30 and at all its customer service centres and franchise outlets across the country by Dec 20. The installation of the system at around 70,000 to 75,000 retail points across Pakistan may cost about Rs2.8 billion. In 2008, the PTA had introduced a SIM ownership verification system 667. A customer was required to provide the original CNIC and a thumb print to get a SIM. In 2009, verification system 668 was launched. It is a process to verify how many SIMs are registered against one CNIC. The subscriber can block a SIM not in his or her use. The same year 789 system was introduced in which a customer has to make a call and answer a few questions like mother’s maiden name and the place of birth recorded by Nadra at the time of issuance of CNIC. According to PTA, both 668 and 789 would remain in place after the installation of the biometric verification system. Almost every Pakistani citizen has a cellphone, but from now on, Big Brother is checking to make sure their name, number and fingerprints are on record. The measures are meant to tighten control of cellphones and avert their use for militant attacks after the Taliban massacre two months ago at a school in Peshawar. Since the new measure was announced earlier this year, Pakistanis have been lining up at cellphone stores and in front of mobile vans and kiosks around the country to scan their fingerprints and verify their identities in order to keep their phones. They have to show their IDs and fingerprints. If the scanner matches their print with the one in a government database, they can keep their SIM card. If not, or if they don't show up, their cellphone service is cut off. In a country where many people get by without electricity, heat or running water, cellphones are one of the few technological advances that are so ubiquitous that most people cannot imagine their lives without one. The Dec. 16 Pakistani Taliban attack on the school in Peshawar, which killed 150 people, most of them schoolchildren, shocked the nation. It was a watershed that prompted a series of government measures, including intensifying a military offensive launched in June against militant strongholds. Authorities also introduced military courts to try terrorism-related suspects and stepped up financial monitoring to make it harder for militants to transfer money. As for cellphones, the government last year introduced biometric machines designed to check users' identities — making the check mandatory for anyone who wants to get a new SIM card. But in the wake of the Peshawar attack, they're now checking all users, regardless of when they got their SIM card, to make sure those who have been issued a SIM card are actually the ones using it. The project has been portrayed as a way to curb the use of cellphones by militants and criminals in planning or carrying out attacks. In explaining the measure, Interior Minister Chaudhry Nisar Ali Khan told lawmakers earlier this month that he was sure the terrorists "will lose a big weapon." A police official investigating the Peshawar attack said at least two of the SIM cards recovered from the scene were issued under the names of two residents of Punjab province. The two later told authorities their names were misused. The police official spoke on condition of anonymity because he was not authorized to discuss details of the investigation. There are about 103 million SIM card holders in Pakistan and the goal is to re-check everyone by April 13, said Kurram Mehran, a spokesman for the Pakistan Telecommunication Authority. Pakistan's five cellular companies worked with the PTA to install fingerprint scanning devices around the country, Mehran said. Already about 60 million SIM cards have been verified and 7 million blocked, he said. Punjab province chief minister Shahbaz Sharif said Wednesday that it was costing the government "millions of rupees." It's not clear whether this will affect foreigners as well, or how many foreigners residing in Pakistan have cellphones from local providers. Amir Pasha, a spokesman for one of the providers, Ufone, said that so far they are only verifying Pakistanis with national ID cards. Cellphone companies have launched advertising campaigns and sent mobile vans around the country to win the people over. Their websites warn SIM card holders of impending cutoff dates. Some Pakistanis are frazzled at the added bureaucracy, while others agree the measure could help curb illegal cellphone usage. The biometric verification of SIM cards is in full swing across the country as one of the world’s largest and fastest efforts to collect biometric information gets underway. The federal government concerned by an increase in illegal and untraceable SIMs had earlier ordered cellphone users to verify their identities through fingerprints for a national database, with failure to do so leading to a cut off from the cellular network – an option unthinkable to many. The national database is being compiled as part of the government’s 20-point plan to curb terrorism in the wake of the December 16 Peshawar school attack. Officials said the Taliban gunmen who stormed the army-run school killing 150 people, including 133 children, were using cellphones registered to one woman who had no obvious connection to the attackers. Cellular companies have been given till April 15 to verify the owners of 103 million SIMs issued in the country, according to the Washington Post. In the past six weeks, 53 million SIMs belonging to 38 million have been verified through biometric screening. Pakistan Telecommunication Authority (PTA) Chairman Syed Ismail Shah has said the remaining 49 million SIMs will be verified within 91 days. The biometric verification system was introduced in August 2014, therefore, the SIMs registered before the system came into force would have to go through the verification process. Read: Biometric SIM verification: a threat or opportunity for cellular firms? Mobilink with around 32 per cent of the country’s cellular customers, has verified more than 15 million SIM cards in the past two weeks — costing it $15 million, according to NBC News. “We’ve tried to reach far and wide, especially the villages, deploying hundreds of vans and kiosks to ensure people have enough time and access to register,” Mobilink spokesperson Omar Manzur said. “However, Pakistanis have large families, and users have a habit of buying multiple SIMs,” he added. Omar further said the verification is a massive, nationwide exercise with a tight deadline. As per World Bank, the mobile phone subscription rate in the country stands at about 73 per cent, roughly equal to the rate in India. With 50 million more SIM cards left to be verified, phone companies have dispatched teams to make customers aware of the deadline. “In a country like this, where the infrastructure is not available in many areas, this looks unprecedented,” said Wahaj us Siraj, the chief executive officer of Nayatel, an Internet supplier. Once the verification process is complete, it will be easier for police and intelligence officials to trace terrorists, former deputy director of the Federal Investigation Agency, Ammar Jaffri said. The deputy director said cellphones been used in the past to detonate explosive devices as well as to make extortion calls. “We have new technology now, and we shouldn’t be afraid of these things, we should face it,” said Jaffri. “Watching people when they move, it’s natural: Every country does it,” he added. Islamabad: The Pakistan Telecommunication Authority on Thursday extended deadline for biometric verification of Subscriber Identity Modules (SIMs) until March 14. Earlier, the government had set February 26 deadline to block all illegal mobile SIMs. The target of verifying more around 100 million SIMs could not be achieved and only 50.76 million could be verified as at February 26. According to PTA, 140 million SIMs are being used across the country while 10 million suspicious and unregistered SIMs have been blocked so far. Keeping in view the current law and order situation, the government has taken this measure so that all Non BVS SIMs could be blocked. Verification of SIMs could curb the misuse of mobile phones in terrorism, kidnapping, extortion and other felonies. Pakistan’s Inspector General of Police (ICP) ordered the completion of the digitalization of criminal records at all police stations to ensure the launch of its centralized biometric database by May 10, 2015, according to a report by Pakistan Today. The Deputy Inspector General of Police (DIG) Crime Investigation Agency (CIA) also confirmed that he had established a connection with the National Database and Registration Authority. The NADRA link will make it possible to view the details of all arrested suspects, as well as access fingerprints and other essential detail, said Khawaja. The database’s main server will be housed at the Central Police Office, where it will also be accessible to the IGP Sindh, IG Karachi and other senior police officers. All formalities regarding logistics support and staff for networking the databases of all police stations have been completed. Meanwhile, director IT Tabassum Abid said that 196 police stations have already been linked through a separate computer networking project. The DIG CIA will work with the director IT to make use of the existing infrastructure and trained staff to make recommendations for additional resources, in order to ensure the effective use of available resources and the timely completion of the project. National Database and Registration Authority’s (NADRA national database, often by fingerprint. dating from 1996, was brought following evidence that the then-Chief Justice’s phone had been tapped. At time of publication, no details about the procedures and process for intercepting communications had yet been publicly released. Since 2004 network providers have been required to comply with requests for interception and access to network data as a standard condition of the PTA’s award of operating licenses to phone companies. Pakistan plans to issue biometric passports from next year to halt the thousands of people who are being trafficked overseas, largely to European and Gulf nations, officials said. Interior Minister Chaudhry Nisar Ali Khan approved the move last week after a meeting with officials from the Federal Investigation Agency (FIA) on tackling human trafficking and migrant smuggling in the South Asian nation. "We will start issuing biometric passports from 2017," Sarfraz Hussain, the Interior Ministry spokesman, told the Thomson Reuters Foundation late on Wednesday. Pakistan in 2004 adopted computerised passports that can be read by scanning machines, he said, but the passports do not contain a microchip, which contains the holder's biodata. This is useful as it will help authorities detect forged travel documents used by traffickers who lure poor people from rural areas with the promise of a good job overseas, Hussain added. A combination of poverty, natural disasters and insecurity caused by a long-running Islamist insurgency has forced thousands of Pakistanis to flee in search of a better life in Europe and the Middle East. There are no accurate figures on how many people are being trafficked or smuggled outside the country, but the United Nations says government data on deportations of Pakistanis due to illegal migration have risen in recent years. There were 66,427 Pakistanis deported from countries such as Spain, Greece, Turkey, Oman and Iran in 2013, up from 46,032 in 2010, according a 2014 report by the U.N. Office for Drugs and Crime. Many trafficking victims are detected at border posts in Iran and Turkey as they attempt to travel on to Europe, where they often have to risk their lives on board dangerously inadequate vessels run by people smugglers, said the report. Others are deported from Oman - often en route to the United Arab Emirates (UAE), where they take up low-skilled employment as maids, construction workers or drivers, and are often subjected to labour abuses. A FIA official, who spoke on condition of anonymity because he was not authorised to speak to the media, said more than 1,000 trafficking networks were operating across the country, the majority in the central Punjab province. These organised criminal gangs primarily use Pakistan's southwestern Baluchistan province, which shares a border with Iran, as a trafficking route to Europe and the Middle East. From Iran, the trafficking victims are either taken to Turkey where they continue on to Europe, or sent to Oman and then on to the UAE, he added. More than a million migrants and refugees crossed into Europe in 2015, sparking a crisis as nations struggled to cope with the influx, and created division in the EU over how to resettle people. According to the U.N. Refugee Agency, about 3 percent of these migrants and refugees were Pakistani nationals. Pakistan has virtually attained one of the targets of the Sustainable Development Goals (SDGs) by providing legal identity to its citizens, including birth registration. The target 9 of Goal 16 calls upon the member states of the United Nations (UN) who have pledged to achieve the SDGs by 2030, that they provide “legal identity for all, including birth registration”. Since its inception in 2000, the National Database and Registration Authority (Nadra) has been issuing Computerised National Identity Cards (CNICs) to Pakistani citizens and its equivalent to the Pakistani diaspora. A CNIC is issued first at the age of 18, after the resident’s biometrics have been captured. “Nadra is also a financially self-sustaining system with a good business model in place,” the report added. The report claimed that although there was no one model for providing a legal identity, the SDGs encouraged states to provide people with free or low-cost access to widely accepted, robust ID credentials. “The UN sees ID as an enabler to achieving other SDGs in areas relating to social protection, health, finance, energy, and governance,” according to the report. In 2012, with the aim to enhance security features on the card to make it difficult to forge as well as to expand usage in government service delivery, Nadra introduced the Smart National ID Card. This contains a data chip, 36 security features and a match-on-card applet that improves the security of the smart card authentication by storing ID data on the card. For Pakistani citizens, the report said, the CNIC is mandatory for conducting a vast range of transactions with the government as well as the private sector, such as voting, opening and operating bank accounts, obtaining a passport, purchasing vehicles and land and obtaining a driver’s licence. In November 2014, the UN convened a ministerial conference on civil registration and vital statistics (CRVS) in Asia and the Pacific. One outcome of the conference was the development of a regional action framework for CRVS in Asia and the Pacific. Recognising the transformational potential of 21st century ID systems for the delivery of basic services to the poor, the World Bank launched its Identification for Development (ID4D) agenda -- a cross-practice initiative with a vision to make everyone count, to ensure a unique legal identity, and to enable digital ID-based services for all. The report explained that a total of 18 per cent of developing countries had a scheme that was used for ID purposes only. “Nearly 55pc have digital IDs that are used for specific functions and services such as voting, cash transfers, or health; and only 3pc have foundational ID schemes that can be used to access an array of online and offline services. Moreover, 24pc of developing countries have no digital ID scheme,” it said. The government began building the system, called Aadhaar, or “foundation,” with great fanfare in 2009, led by a team of pioneering technology entrepreneurs. Since then, almost 90% of India’s population has been enrolled in what is now the world’s largest biometric data set. Prime Minister Narendra Modi, who set aside early skepticism and warmed up to the Aadhaar project after taking power in 2014, is betting that it can help India address critical problems such as poverty and corruption, while also saving money for the government. But the technology is colliding with the rickety reality of India, where many people live off the grid or have fingerprints compromised by manual labor or age. An Aadhaar ID is intended to be a great convenience, replacing the multitude of paperwork required by banks, merchants and government agencies. The benefits are only just beginning, backers say, as the biometric IDs are linked to programs and services. But in rural areas, home to hundreds of millions of impoverished Indians dependent on subsidies, the impact of technical disruptions has already been evident. After walking for two hours across rough underbrush in Rajasthan to get kerosene for the month, Hanja Devi left empty-handed because the machine couldn’t match her fingerprint with her Aadhaar number. The new system hasn’t eliminated attempts at fraud. In August, police in Rajasthan accused two shop managers of linking their fingerprints to a multitude of cards and stealing for months the rations of dozens of clients. As for trouble connecting to the registry, better infrastructure, including steadier internet connections, will eventually also help, Mr. Pandey said. For now, Mr. Prakash has found a way to cope without climbing trees. After scouring the village, he set up a shack in a spot with enough bandwidth to allow his fingerprint scanner to work. It is hardly efficient. He issues receipts in the morning at the shack, then goes back to his shop to hand out the grains. Customers have to line up twice, sometimes for hours. Below is the excerpt from the 2009 Assange-Imran interview, along with the leaked cables mentioning Malik and Gillani. Imran, we discovered a cable [09ISLAMABAD1642] in 2009 from the Islamabad Embassy. Prime Minister Gilani and Interior Minister Malik went into the embassy and offered to share NADRA – and NADRA is the national data and registration agency database. The system is currently connected through passport data but the government of Pakistan is adding voice and facial recognition capability and has installed a pilot biometric system as the Chennai border crossing, where 30,000 to 35,000 people cross each day. This NADRA system, that is the voting record system for all voters in Pakistan, and a front company was set up in the United Kingdom – International Identity Services, which was hired as the consultants for NADRA to squirrel out the NADRA data for all of Pakistan. What do you think about that? Is that a…? It seems to me that that is a theft of some national treasure of Pakistan, the entire Pakistani database registry of its people. Both PM Gilani and Interior Minister Malik pointed out that the National Data Registration Agency (NADRA) already collects a wide spectrum of information on Pakistani citizens, from driving records to DNA. Malik offered to share NADRA-generated information on Pakistani citizens, within the constraints imposed by privacy concerns. NADRA is at the heart of what the GOP intends to be an integrated border management system, Malik said, and suggested that API/PNR sharing could be a subset of this larger system. The system is currently connected through passport data, but the GOP is adding voice and facial recognition capability and has installed a pilot biometrics system at the Chaman border crossing, where 30-35,000 people cross each day. Reiterating that he welcomed both USG assistance and the arrival of a DHS team to discuss PNR, Malik agreed to set up a joint U.S.-Pakistan task force to work out a way forward. (S//NF) Comment: The Secretary’s visit was an essential and well-received step to rebuild the trust between DHS and the GOP that will be necessary to reach an eventual deal on API/PNR. GOP officials are clearly concerned about the political fallout if any deal to share API/PNR data became public. Malik was direct in expressing his need for model agreements or other legal frameworks to help allay concerns of a politically embarrassing court challenge to API/PNR data sharing and the potential issues with airlines of third countries. While this information will no doubt be helpful, Post strongly recommends further political-level bridge building before we can effectively engage at the technical level. On senior officials’ broad requests for more assistance on border security, we caution that the openness we regularly see in high-level meetings is often not followed through at the institutional level. Post will work with DHS, State, and DoD (all of whom are already working on border security and training issues) to target DHS assistance clearly so as to complement our existing security and training programs. End Comment.